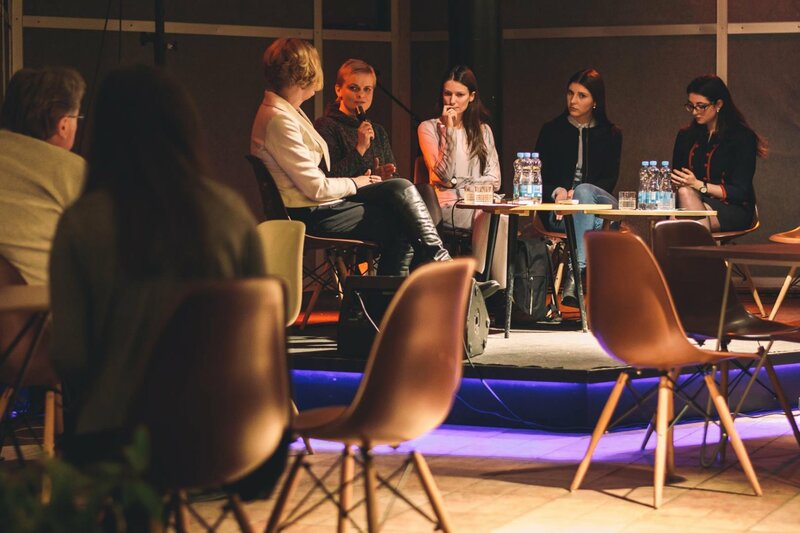 On 23rd of March European Foundation of Human Rights (EFHR) organized a discussion called ‘United or divided: racial discrimination in Lithuania’. Agnieszka Malinauskaitė, the administrator of EFHR, introduced activities of the Foundation recalling about giving the unpaid legal support, about the campaign against hate speech and discrimination by cooperating with Equal Opportunities Ombudsman, organizing trainings for students and anyone willing, possibility of traineeship and volunteering, EVS. She also told about successes of the Foundation on fighting against hate speech and gave few examples of hate in Lithuania and abroad. Margarita Jankauskaitė was a moderator of the discussion, an Equal Development expert, who was encouraging to be active in discussion. Justina Kraučelytė, Coordinator of integration program for ‘Caritas’ Foreigners of The Roman Catholic Metropolitan Archdiocese of Vilnius introduced subject of discriminating foreigners – mocking, hate speech, humiliating their kids at schools, constant interest of media. Renata Vanagėlienė, senior advisor of Equal Opportunities Ombudsman on juridical cases and Eglė Tilindienė, specialist of Equal Opportunities Ombudsman on integration discussed difficulties of finding a job for people of different race, belief and sexual orientation. Amit Belaitė, member of ‘Gyvoji biblioteka’ project discussed issue of Jew remembrance. ‘United for Intercultural Action’ is a European network against racism. Each year, organizations belonging to ‘United’ organize various projects on racial discrimination as a part of The European Week Against Racism that aim to fight hate speech and racism. EFHR not only attends conferences organized by ‘United’, but also takes part in The European Week Against Racism. EFHR wants to thank interlocutors and all who participated.